In the second of a two part feature, Peter Dean lunches Barossa ‘bad boy’ Dave Powell to find out what life is like after leaving Torbreck, the winery he founded 20 years ago. In this piece we taste Powell’s new wines from new venture Powell & Son. And very good they are too. 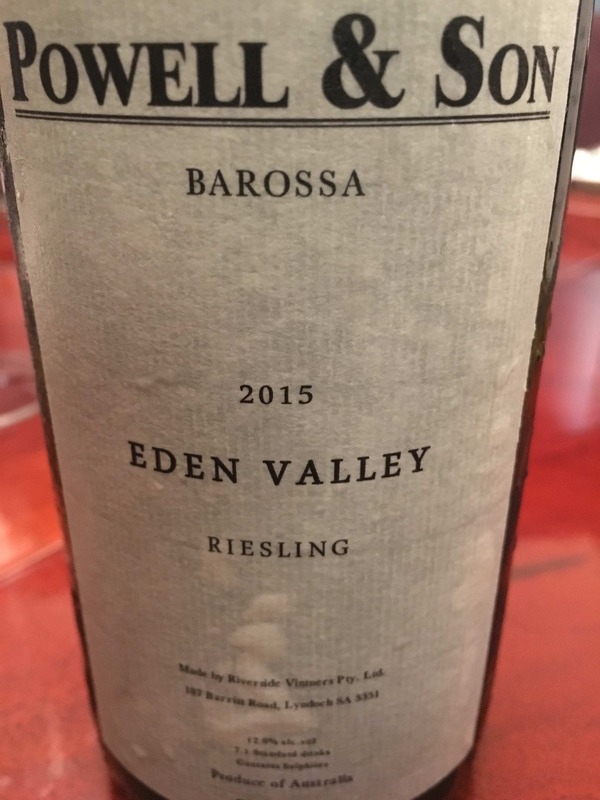 The first wine from Powell & Son that we kick off with at an eventful tasting lunch is an Eden Valley Riesling 2015 that is pure lime peel and minerality. It’s a delicious aperitif, that makes your mouth water. There’s a terrific depth of flavour and a dry, lean finish. Powell says that the vines the fruit are from are very low-yielding and he likes to keep it that way “I don’t piss about trying to stretch yields.” In 2015 he is only producing 300 odd cases. The first red is Grenache Shiraz Mataro 2014 (70%, 25%, 5%) with some of the vines 60-100 years old. The wine spends 15 months in a 24hl French foudre which adds structure. Wow! the nose is sensational – chocolate, eucalyptus and deep red fruit. The colour is almost Burgundian red, it doesn’t look its age. This is fine wine, great balance, lots of fruit, good integration of the wood and a nice length. Powell expresses a love for Grenache-based wines (his son has just come back from an internship with Jean-Louis Chave) and says that he’s purposely kept the percentage of Shiraz down as the Western Barossa produces Grenache that’s “as good as it gets”. He is producing just 450 cases. He recommends drinking this in 5-8 years when there is an interplay between primary and secondary characteristics with a little tertiary kicking in. As its name suggests the Barossa & Eden Valleys Shiraz 2014 is a blend of fruit 50/50 from the two valleys. The influence of Eden Valley is immediately obvious with lifted aromatics and a cleaner and fresher nose and taste. There is a leanness to the blend that is elegant and appealing, and a purity that comes from the different flavour profile of the Eden Valley fruit. 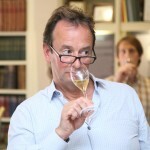 It is probably his most ‘complete’ wine drinking now and has a great length. He has produced 500 cases. Powell says that his vision is to create the DRC of the Barossa “with some drinking wines attached.” and this is how best to approach his two top single varietals Loechel Eden Valley Shiraz 2014 and particularly the Steinert Shiraz 2014 which has a trade price of £425 a bottle. Although there is not much difference in the vineyards, the gap between these two wines and the others in the range is immediately apparent in all areas of tasting – purity, freshness, acidity, balance and depth of fruit – very much blackcurrant and blackberry. The Loechel was drinking very well at lunch, served with pork, the Steinert was in a somewhat closed state, although the depth of flavour was very powerful. The vines are 120 years old and the grapes the size of blackcurrants. There is 360 cases produced. And with that I bid a hasty retreat before I get sucked into a lunch that ends somewhere the middle of the next day which it very possibly could have. I am very much buying some of Powell’s new wines. I have gone for the Grenache Shiraz Mataro, and the two shiraz – Barossa and Barossa & Eden Valley. They are available from Zonin UK.